During the height of the Cold War the Soviet Union built up a network of “Naukograd” or “Science Cities”. These were state-created clusters of scientists working on technologies that could help it compete with the West, especially in the field of nuclear weapons and space exploration. Those days are of course long gone, but today Russia – though now freed from the days of the old USSR – now faces a new race: how to revive its economy, compete globally in the next industrial revolution of science and technology and wean itself off its reliance on oil and gas. For Russia has a problem. The energy sector accounts for approximately two-thirds of Russia’s exports, around 30 percent of Russia’s GDP, and almost half of Federal Budget revenues. In the U.S. almost 3% of GDP is spent on research and development while Russian firms spend just 1%. The economy has entered the doldrums and needs re-balancing for the modern world. As the OECD has pointed out, Russia needs a thriving SME and startup culture if it is to prosper in the future, particularly in science and technology. Though Russia has some of the best of breed in these sectors, it’s had difficulty spinning that capability in science, technology and research into global commercial successes. Although completely different from the old days of the Naukograd, could it be that Skolkovo, a new project to create large new science and tech cluster just outside of Moscow, will be Russia’s fast track to innovation? So, in a typically Russian approach to the problem, it’s come up with Skolkovo, a vast new science-based city, to catapult its economy into a new era of technology and innovation. The Skolkovo Innovation Center will be a planned high technology business area with its own set of laws, designed to encourage science and technology companies. The 400 hectare site is predicted to house over 20,000 people permanently, with another 10,000 commuting in to work. In other words, this is a massive project on a typically Russian scale. But in an untypical breakwith the past the whole project is being run by a specially created non-profit, the Skolkovo Foundation. The Skolkovo Innovation Center will be financed primarily from the Russian federal budget. Some 22 Billion RUB went into it last year, with 17.3 Billion RUB projected to be spent this year. It’s clearly on a scale that Russians themselves will recognize as being a modern take on similar projects of the past. Their main concern is, will it work, and will the money be spent wisely? 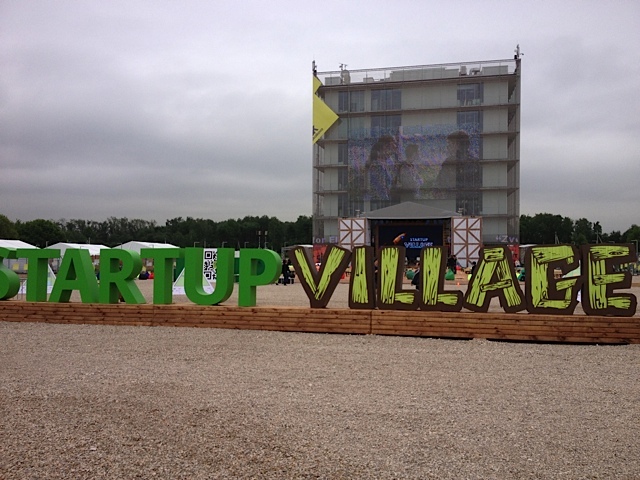 On Monday and Tuesday this week I was invited to a kind of showcase day on site, an event dubbed “Startup Village”. There, companies ranging from biotech to engineering to Internet startups displayed their products to visitors and potential investors in a fashion reminiscent of a traditional trade show – if that trade show was aimed only at Russian speakers, I might add. On the Skolkovo site only the cube-shaped, seven-story “Hypercube” exhibition centre has been built so far. A vision in glass and concrete, the building has a rough and ready appearance reminiscent of many startup hubs and is dotted with pitching spaces, meeting rooms, media areas and, of course, bean bags. 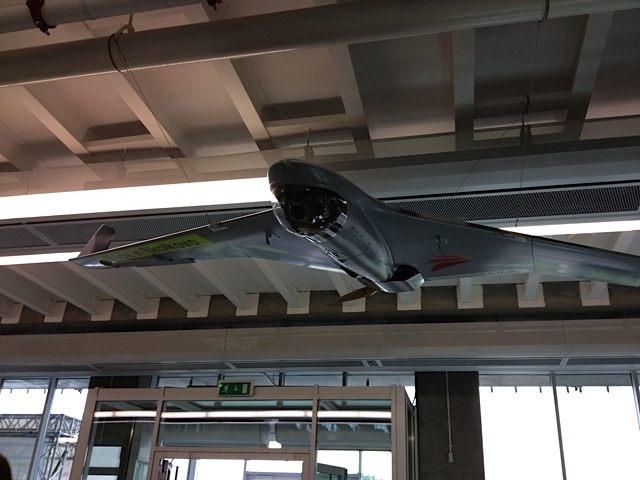 Surrounding it were temporary pavilions centered around areas like biotech, life sciences and IT. 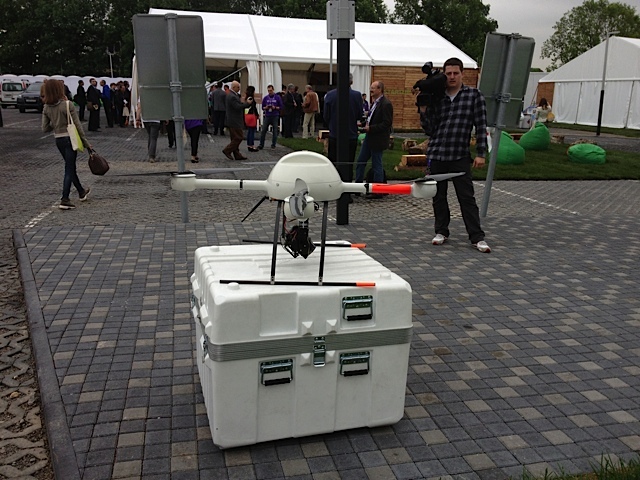 Inside, the sheer variety of products – from aerial mapping drones to head up displays to devices for (perhaps ironically) oil and gas exploration – showed the enormous range of the kinds of companies Skolkovo will eventually entertain. And despite patches of rain, which turned parts of the venue’s outside areas into a soggy bog, the overall genial, celebratory atmosphere could not be dampened, especially when the sun eventually came out. The outside portable toilets served to add to the ‘music festival’ like atmosphere. This was certainly not your average Russian event. But the weather and the lack of any red carpets was not enough to put off Prime Minister Medvedev, who toured the event listening to pitches from companies, trying out products on display and talking to officials (though as you’ll see from our video we had a hard time trying to get an interview). To a Westerner’s eyes, it might all have appeared at best ‘charming’, if at times a little haphazard – especially if you were a lady in heels having to negotiate the vast swathes of gravel paths. 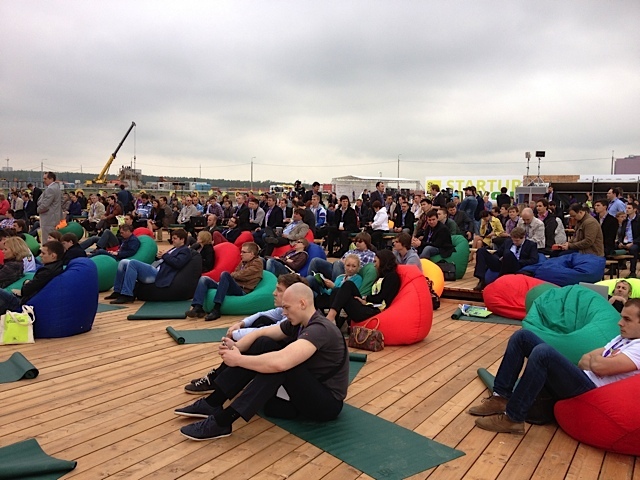 How could a project with so much state backing put on an event in wind-swept canvas pavilions? It’s questions like this that ordinary Russians ask of the Skolkovo project generally. And yet, as my contacts pointed out, the sheer informality of the event was exactly what they were aiming for. “To see so many important people in jeans is a big deal for us” one young entrepreneur said to me. To them, informality is a way to tap into a more free-wheeling Western interpretation of innovation, away from the white lab coats of old and the stuffy suits of officialdom. 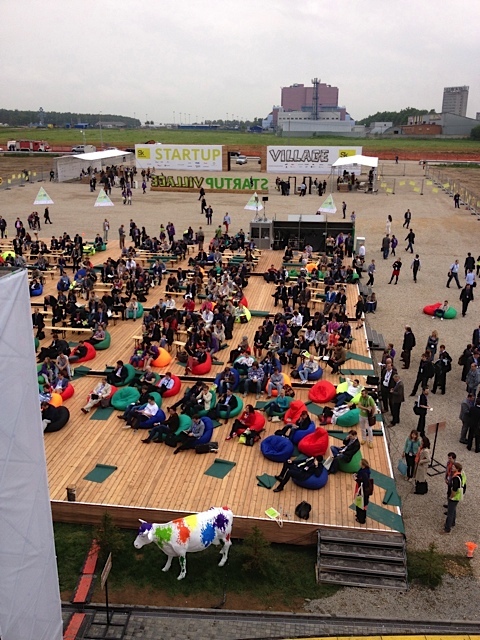 But the allure of Skolkovo won’t be merely cosmetic to the new wave of Russia’s startups. Companies housed there will enjoy special privileges compared to companies in other parts of Russia. The Skolkovo area is being created as a special economic zone in its own right, with its own border controls and legislative incentives for startups, such as a tax holiday lasting 5–7 years. It also has special laws enabling entrepreneurs to work there from other countries – in effect Russia’s ‘Startup Visa’. Announced in November 2009 by Medvedev, then Russian president, the complex is headed by Russian oligarch Viktor Vekselberg and co-chaired by former Intel CEO Craig Barrett. It has a brand new highway connecting Skolkovo to Moscow, with rail links to the capital and Vnukovo International Airport also planned. Its five “clusters” will specialize in different areas including IT, Energy, Nuclear Technologies, Biomedicine and Space Technologies. Clean energy will be a particular focus, and the city will ‘eat its own dog food’ – recycling practically all of its waste to create an energy-efficient city with minimal or zero emissions. Only electric cars will be allowed in the city. The main elements of The Skolkovo City will be the University and a Technopark. MIT has been signed up to co-manage the creation of the university, reportedly receiving $300 million for its participation. The Skolkovo Institute of Science and Technology will have a curriculum designed by MIT, offer graduate degrees only and – unusually in Russia – teach in English. MIT has similar arrangements in China, Portugal, Singapore and Abu Dhabi in the United Arab Emirates, but Russia’s home-grown talent has not been accessed by a Western university in such a way, or on such a scale, before. 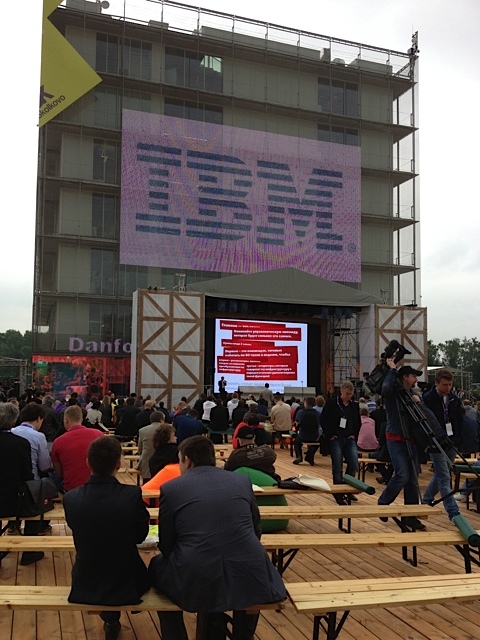 The Skolkovo Foundation, the non-profit which is overseeing all this activity, has signed multiple collaboration agreements with Russian and international companies, including IBM, Rusnano, Rostelecom, Russian Venture Company and ITFY. IBM will establish labs and new jobs on the site in return for licensing its know-how related to how tech companies develop their IP and commercialization. Microsoft and Siemens have also already agreed to locate labs there and the foundation says it has recruited 52 venture capital firms to join the whole project. That said, Skolovo’s journey so far has not been exactly smooth. A senior vice president of the Skolkovo innovation fund was suspended last month when the police investigated him for allegedly over-paying a lecturer two years ago. That lecturer later went on to become an MP opposed to the Putin Presidency. That said, the connection between this transaction and Russia’s current political landscape is somewhat blurred. According to Russia’s top law enforcement agency – the Investigative Committee – Skolkovo executive Aleksey Beltyukov broke the law when he paid MP Ilya Ponomaryov $750,000 for 10 lectures and one research paper. Beltyukov has stepped down from Skolkovo while the case continues, but my enquiries indicate that he remains a consultant to the Skolkovo project while the case proceeds. Meanwhile, the investigation has descended into a to-and-fro of denials and counter denials. Ponomaryov says the contract was genuine and all his actions were legal, and that the case against him was politically motivated. Meanwhile, The Skolkovo Foundation has since filed its own lawsuit against Ponomaryov. It’s worth noting that the head of the Skolkovo foundation, Viktor Vekselberg, is one of Russia’s wealthiest businessmen and has substantial government support for the project. But that said, the project is supposed to be independent of all sides of the political spectrum. 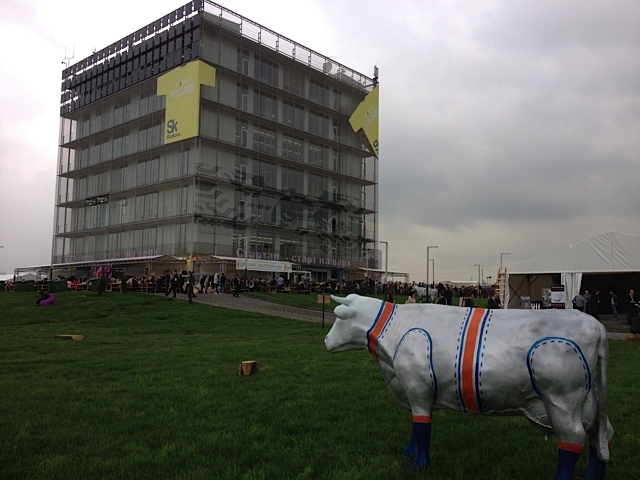 Skolkovo has had a rocky political road. It was also backed by Deputy Prime Minister Vladislav Surkov, but he resigned earlier this month, after the government was forced to issue poor economic figures. Russia’s $2 trillion economy is growing at the weakest pace since a 2009 contraction. To confuse matters, the media made much of Surkov’s resignation and its effect on Skolkovo, often without noting the foibles of Russian politics. The Prime Minister has several Deputy PMs, so it’s highly likely that another will simply take up the Skolkovo baton. For now, Putin has appointed presidential adviser Andrei Fursenko to oversee the project. But during the ‘Startup Village’ event Surkov was seen touring the Startup Village exhibition this week as if nothing had happened. What is clear is that Surkov will continue his connection, piloting a major global/Russian conference in October, “Open Innovations Forum 2012” in Moscow, with Skolkovo’s involvement. And Surkov recently publicly defended Skolkovo during a question-and-answer session at the London School of Economics, while Investigative Committee spokesman Vladimir Markin wrote a newspaper article attacking Surkov, after the latter called the criminal investigation heavy-handed. 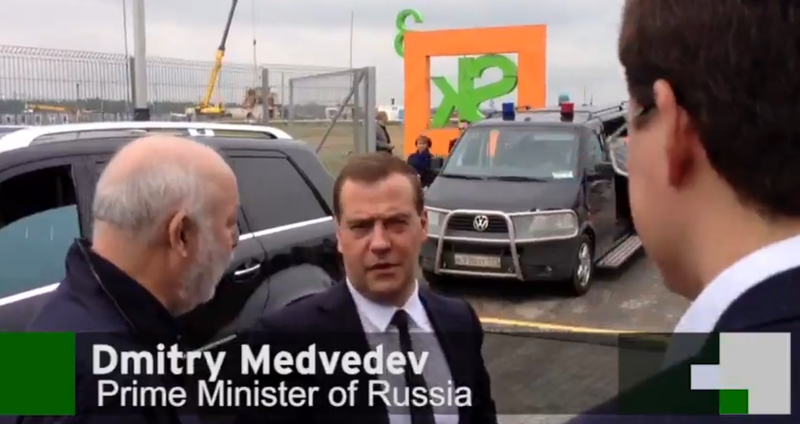 Clearly, trying to work out what all this means for Skolkovo would require a PHD in ‘Kremlinology’. 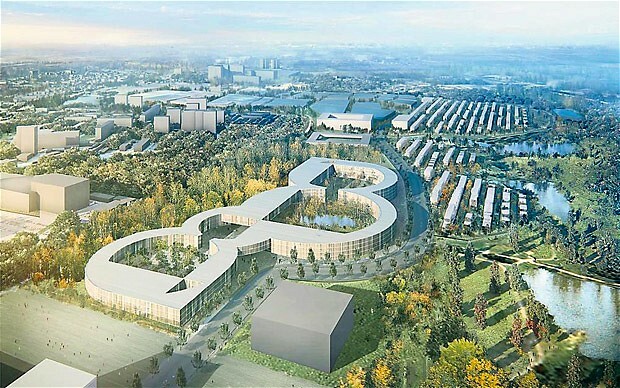 But whatever the case, Skolkovo’s main mountain to climb will likely be critics who see too big of a disparity between the amount of resources being dedicated to the project and the results, which to date have been limited. Certainly, touring what is in effect a building site with one building on it (and this, after three years since the policy was first announced) does not inspire enormous confidence. Additionally, when private sector incubators like Digital October – conveniently located in the centre of Moscow and home to many startups – exist and thrive without billions in government funding, it’s tempting to wonder why the Russian government seems so keen to spend so much money and woo so many international partners. However, it’s undoubtedly the case that Skolkovo has a big head of steam now, and projects of this scale clearly do not happen over night. 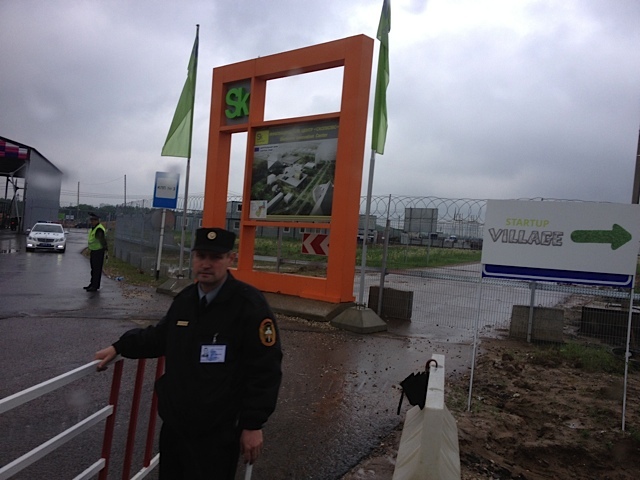 Like Rome, Skolkovo will not be built in a day. As I toured the site, I could see for my own eyes that the 400 hectare Skolkovo site was filled with other building projects clearly in progress. Essential services such as drainage and electricity have all gone into the ground, according to spokespeople. 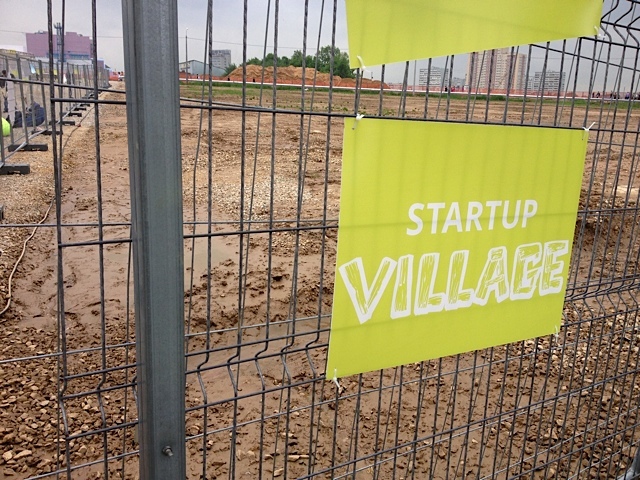 Some buildings were clearly being worked on as delegates milled around the Startup Village event. In addition, much of the core of the city is being pre-fabricated elsewhere, meaning a number of buildings should go up quite quickly. A spokesperson said the heart of the site, the Technopark, could even be finished by the end of this year. Another aspect of the project which could allow observers to be cautiously optimistic is the involvement of key advisors to Vekselberg. These include Conor Lenihan, Vice President for International Business. The extremely experienced Lenihan has served in several Irish government ministries and was formerly Ireland’s Minister for Science, Technology & Innovation. He’s also been a senior executive at O2. In other words, he’s worked on big projects like this before and has an international network to call on. Another is the involvement of Pekka A. Viljakainen, founder of the Finnish IT giant Tieto, a man with boundless energy and optimism, and a broad tech network. Viljakainen also made the Startup Village event feel much closer to a startup-event you might find anywhere in Europe or the US. But perhaps most persuasive of all is the presence of Alexander Chernov, Vice President, External Communications and Advertising. Chernov is known in Russian circles as a man who gets things done. A former journalist, he became an executive at Coca-Cola in Russia but is better known as being part of the team that secured the Sochi nomination for the Winter Olympic Games (Sochi-2014) and the nomination of Russia for holding the FIFA World championship in 2018. And Chernov points out that Skolkovo will not have the monopoly on Russia’s push towards a new innovation-friendly economy. He says the foundation is concentrating on touring its ideas and companies around Russia, most recently to 16 different centers: “There is innovation everywhere in Russia, we just need to expose it” he says. Yes, Skolkovo still has to produce results, of that there is no doubt. And heavy-handed, top-down initiatives like this nearly always look entirely alien to Western eyes in places like Silicon Valley, where government involvement in big technology projects would be viewed with surprise, to put it mildly. That might of course be forgetting how even Western governments once invested heavily invested in new technology, especially post WWII – moves which often kick-started the private sector environment we know today. Many emerging countries – Cyberjaya in Malaysia and Dubai Internet City – have similar projects to Skolkovo. It is by no means alone. Even Israel’s highly successful startup ecosystem was largely kick started by the government-backed Yozma programme. Indeed, could Skolkovo become a sort of Russian Tech Trojan Horse, promoting startups, innovation and entrepreneurship across the country? Standing in a wind-swept building site, the bleep-bleep of cranes and lorries echoing in the distance, it’s hard to say. Certainly, it would be a shame if it became a Russian Albatross. But to view the whole Skolkovo project as a mere building site could be missing the point of the enormous resources available to the team there and the continuing political capital it enjoys. Assuming the broad international involvement of some of the world’s biggest tech companies continues, Skolkovo has plenty in its favor right now. With an open door to international partners and an ultra green city, Skolkovo is a universe away from the ‘Naukograds’ of old. But the sentiment is eerily similar. The question is, could Skolkovo produce the sort of ‘Great Leap Forward’ Russia has been looking for? It looks like we’re about to find out.